If you are interested in advertising on Revscene.net, contact us for further details. Welcome to the REVscene Automotive Forum forums. You are currently viewing our boards as a guest which gives you limited access to view most discussions and access our other features. By joining our free community you will have access to post topics, communicate privately with other members (PM), respond to polls, upload content and access many other special features. Registration is fast, simple and absolutely free so please, join our community today! The banners on the left side and below do not show for registered users! Ford Ka considered for U.S.
RS.net, where our google ads make absolutely no sense! The Ford Ka may be coming to the U.S. Ford CEO Alan Mulally seems to be interested in America's renewed interest in small cars. But he may be the only one. Word is most in the upper levels at Ford are not 100% on board with the idea. According to BusinessWeek, Mulally gives the final call to Derrick Kuzak, global head of product development. Kuzak and Chief Marketing Officer James Farley are not so keen on bringing the Ka to the States. The second generation of the reasonably priced minicar comes with a 1.2-liter four-cylinder producing 67 horsepower. With the available five-speed manual transmission and front-wheel-drive, the pilot is lucky to get the car to 100 km/h in 13 seconds. Released just this year, the new Ford Ka also allows a 1.4-liter petrol and 1.3-liter TDCi. Speed is not meant to be this car's selling point. 55 miles-per-gallon and a price of around £9,295 ($13,625) is. However, unless the car would get a U.S. production line, costs would likely increase. Although sold in South America already, making the car compatible with U.S. safety standards, environmental regulations, and export costs would push the price up, possibly making it a no-sale in the U.S.
Mulally, a big fan of the Ka, may continue to press the issue. And Mulally is the big boss. 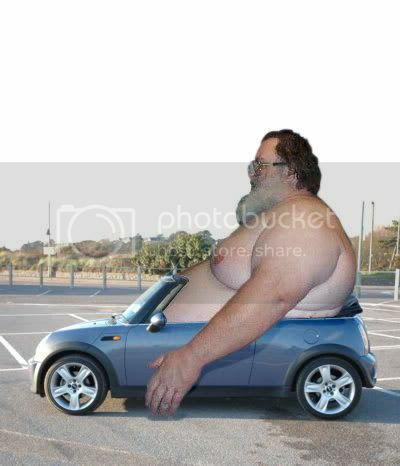 If he wants the car to come to the U.S., we will see the Ford Ka whipping around the streets as soon as he wills it so. Built on a Fiat Panda platform, it would become the smallest car sold in North America. Last edited by thumper; 01-28-2009 at 06:01 AM. Built on a Fiat Panda platform.... And aren't Fiat and Chrysler looking to bring Fiat cars over? Would that create some tension in the small car market of two competing companies are trying to sell cars built on the same platform from a 3rd company they both have ties to? Time flies like an arrow. Fruit flies like a banana. Ask me about how I answered the question "How fat is TOO fat?" according to revscene, everything looks like a camry. the guys over at lambo vancouver said there are 60-70 pre-orders already. don't quote me though. I WANT MY 10 YEARS BACK FROM RS.net! lol, gas is cheap again, no 1 wants these fuel savers anymore. How I wish I can remain ignorant, why do I know so much? All times are GMT -8. The time now is 06:55 PM.